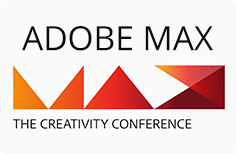 With day 1 of MAX being a whirlwind focused on the product roadmap, Scott Belsky, Co-founder/Head of Behance & VP of Products, Mobile, and Community at Adobe, came on stage with a relaxed excitement. Day 2 was all about the community – the heart and soul of creativity. Belsky kicked off the second keynote with the simple notion that creative tools help us express ourselves, but they are not the source of creativity. We are inspired by what we see and use the tools to create something to inspire other people. And with that, the rest of the session was filled by four truly inspiring people. Here are some gems they shared. Kalman starts each day with a simple routine – a cup of coffee while reading the obituaries. The simple act is a reminder to her that she is alive and coffee is good. She went on to say, ‘you don’t know what’s going to happen in your life, so you really have to make important decision and make the most of your time to create.’ As she continued to share about her work, a distinct message became apparent: to be creative is to know yourself and to stay true to it. Prior to starting Humans of New York, Stanton was a bonds trader in Chicago. All his time and mental energy went to keeping that job. The day he lost the job was a great day. Stanton had one goal as he tried to decide what do next – make enough money so that he could be in control of his time. Now, Stanton spends his days walking around New York, photographing people and spending some time talking to them. He posts 3-4 stories to his blog every day and over 15 million people read them. Luna’s career was inspired by a recurring dream. She dreamt she was in a room with white walls and a concrete floor that made her feel completely at peace. With some encouragement from a friend, she set out to chase the meaning of the dream, and found herself buying an apartment just like the one from her dream. But she did not feel completely at peace like she thought she would. The next day she went to an art supply store and reconnected with her passion from high school and college. That apartment is now her studio. As she concluded her story, she urged everyone to let go of the ‘should‘ and focus on the ‘must‘. Let go of what you should be doing – the pressures of society – and focus on what you must do – what you are passionate about. For the last speaker, Ann Lewnes, SVP and CMO at Adobe, came out with Baz Luhrmann for a sit-down interview. Instead of sitting and answering questions, Luhrmann started pacing around the stage saying that he never sits on sets. During the interview, he explained that his creative process was more of a collaborative process and his creative team is roughly the size of the audience, which included multiple thousands of people. He concluded by saying, ‘the need to create is just the need to get something out. It’s just the need to express. All I can say to everyone out there is if you’re compelled to get something out, in the end, just listen to yourself. At the conclusion of day 2 the pressing question is, where do you find your creative inspiration?